Here comes the Vol.1 of this two-part release. When Billie Ray Martin told Stephen Mallinder she had just finished the job of selling out Cabaret Voltaire to disco, he burst out laughing. The legendary head of famed electronic band Cabaret Voltaire saw no reason to stop her. Instead, he agreed to deliver his first vocal performance in years on Billie's cover of the Cabs' song 'The Crackdown'. Produced by top Berlin tech-house act Maertini Broes, this production brings Billie Ray Martin back to her cutting-edge house music roots. Second in line to be out-discoed was the song 'Just Fascination'. This time, the UK's finest Nu-Disco producer Lusty Zanzibar delivered the production. The result is a no holds barred epic groove fest with a Balearic touch. Celebrity Murder Party, Copycat, Divide and Create, Dunproofin, Flying White Dots, Phil RetroSpector, Year Zero have all delivered something that goes beyond mere remixing but they have created stunning artistic reworks of these classic songs. 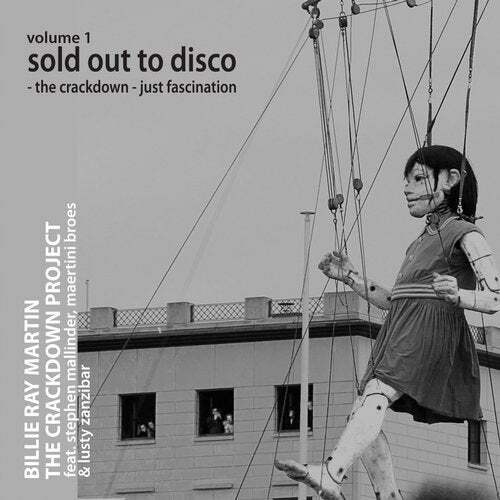 Released on Billie's Disco Activisto label, which she has re-launched for this and all future releases. In an 'industry-first' Billie is collaborating with torrent-site Mininova.org and will be releasing free exclusive mixes on January 25, leading up to the official release of the first EP. Further 'exclusives' will be released in collaboration with blogs and magazines leading up to the second part of the release. RADIO : Radio 1 Berlin Playlist.